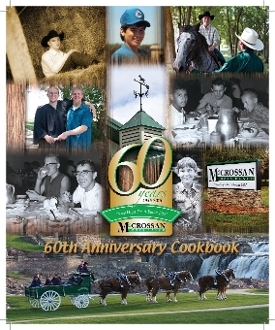 We are excited to announce that our 60th Anniversary cookbook is now available! This special cookbook was written in response to the overwhelming requests we received to print another cookbook and to bring back some of our most popular recipes. It is also a way to raise funds that will help the boys at McCrossan Boys Ranch. The cookbook also honors Terrie Wallenstein in recognition of her 40th Anniversary of employment this year and as she retires from the Ranch. Terrie will be greatly missed and so will her homemade bread and lemon bars, but her recipes will live on in this commemorative cookbook. Don't miss out get your cookbook today. $15 includes s/h charges.